Savvas café bar is de facto an Arts place. There are metal sculptures made by Savvas all around the place, accompanied by the well-known stone sculptures of Tamamounas, father of Savvas and Dimitros. In addition the bar is decorated with frescoes and authentic paintings giving the impression of a permanent exhibition. 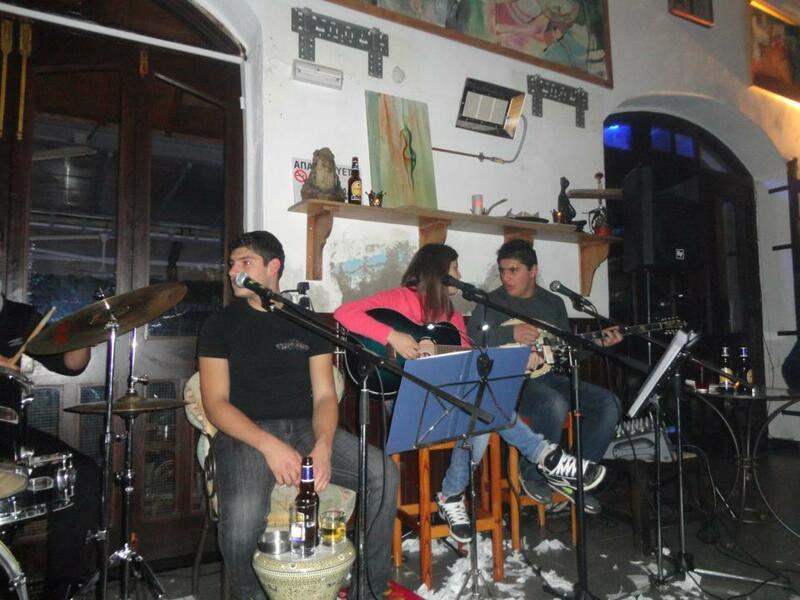 Savvas café bar also plays host to a range of live eclectic music events in the evening, most often in the Summer time. Savvas café bar is a really pleasurable sports bar too!! It offers live TV coverage of the most important local and international sports events such as: Cypriot First Division, UEFA Champions League, Premier League, World Cup and European Cup football and basketball, Formula 1, 6 Nations, masters tennis tournaments and other sports events from around Europe and the world. All these on a huge projector screen, HDTV and plasma TV screens!! !